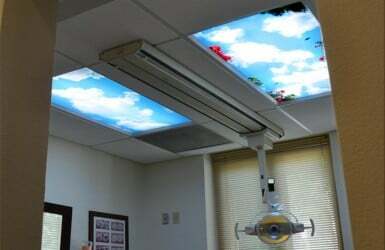 Sky View 4-Bay is a convenient way to order a 2, 3, or 4 panel sets. Select 4-Bay 1 for a layout option with 1 Row and 4 Columns. Select 4-Bay 2 for a layout option with 2 Rows and 2 Columns. Use the Column input to select between 2 – 4 panels for purchase. 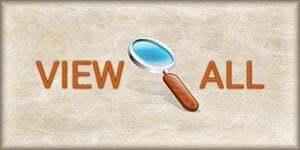 You may also specify which of the panels you prefer using the Customer Description field. 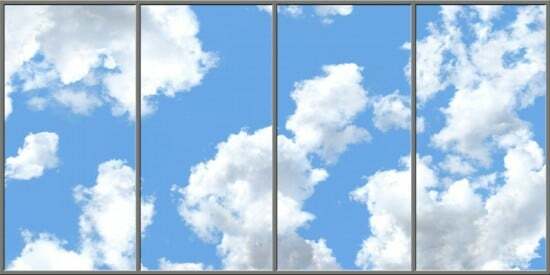 For greater than four panels, please see Sky Murals: California Sky, Santa Barbara Sky, or Malibu Sky. 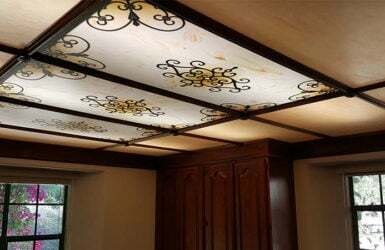 These sky ceilings can also be ordered in 2-4 panel sets. The Sky Mural is beautiful. 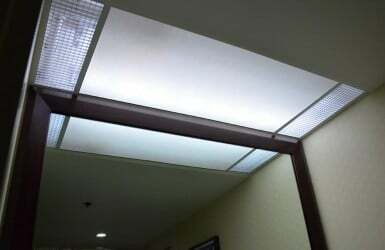 Love looking up at the ceiling and seeing the sky rather than the ugly plastic panels. 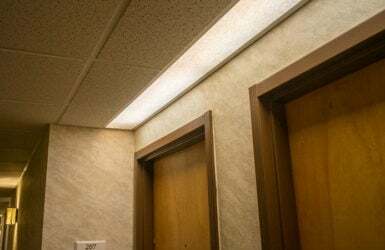 We are switching out fluorescent tubes for LED tubes. We plan to order at least 1 more mural. Quality product. Good customer service.